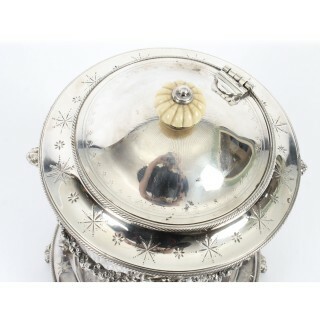 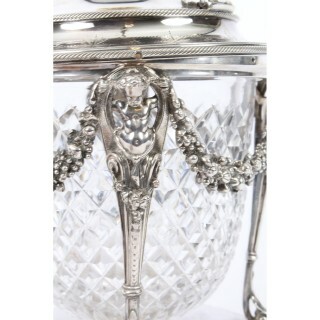 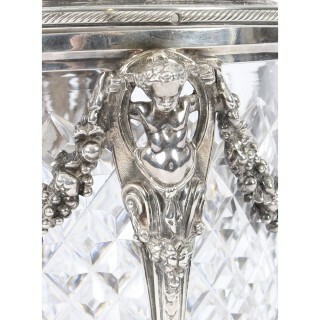 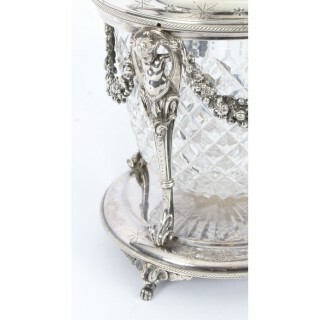 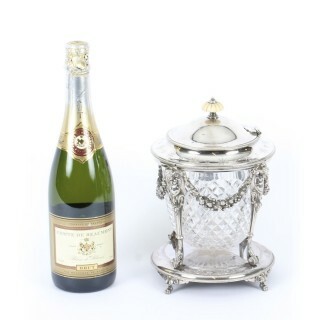 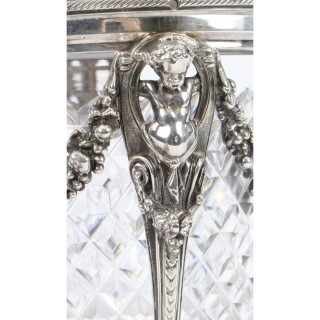 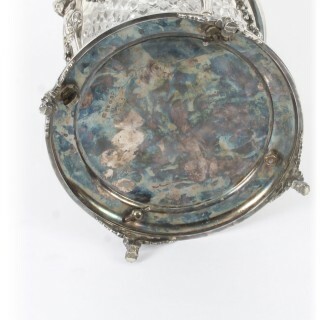 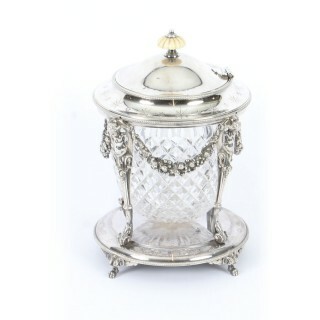 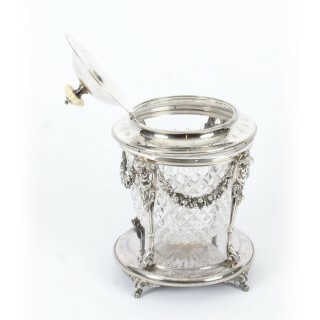 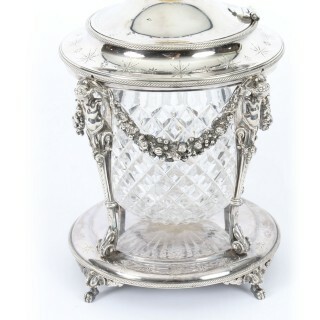 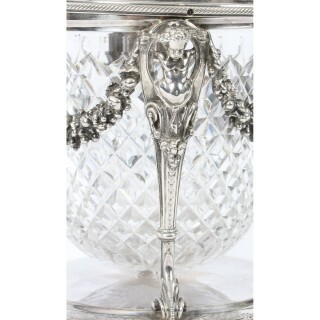 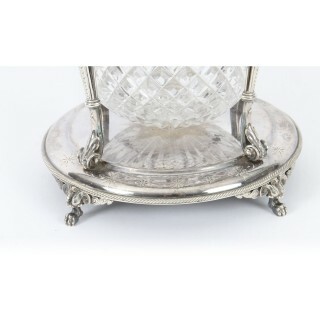 This is a superb antique Victorian silver plated and cut glass biscuit barrel, circa 1870 in date. 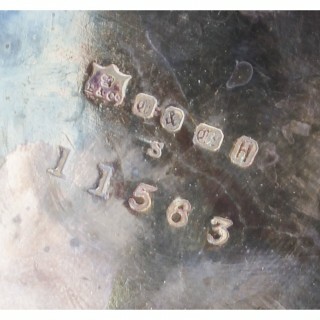 The biscut barrel bears the maker’s mark of the renowned silversmith and retailer, Elkington & Co. 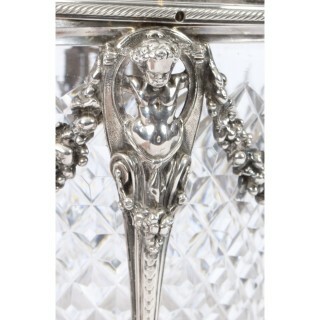 This delightful piece features a diamond cut glass biscuit container which is suspended on four silver plated columns decorated with stunning cherubs and inter-linking swags of rock roses. 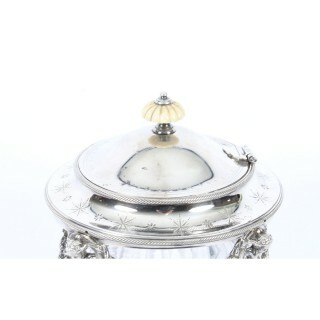 The separate domed cover has engraved floral decoration, a bone pinecone finial and a hinged lid. 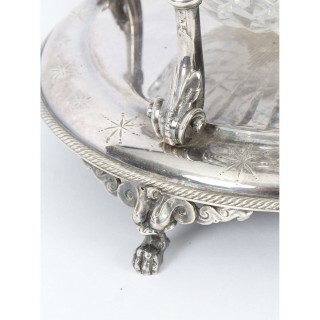 The biscuit barrel is raised on four charming paw feet. 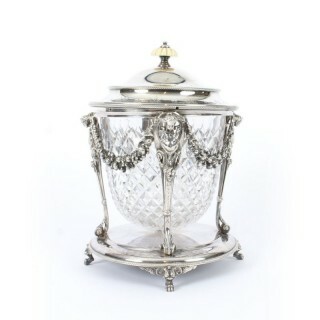 It could be used for storing biscuits or a variety of sweets. 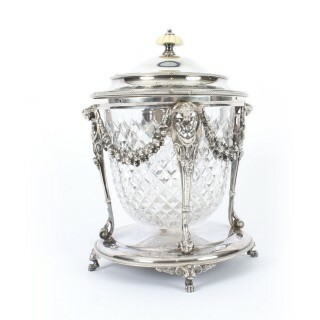 Add some extra taste to your table while taking tea with this extraordinary Elkington and Co’s biscuit barrel. 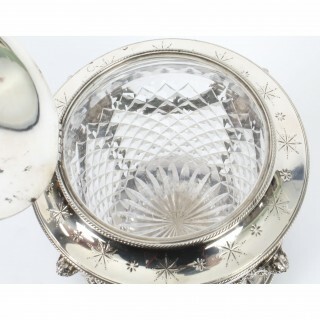 In excellent condition, with no dents, damage or repair. 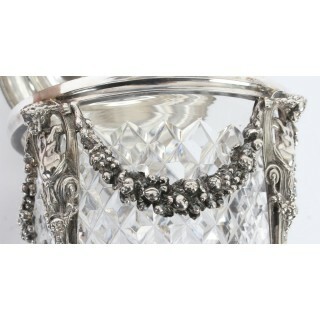 Please see photos for confirmation.